Lionel graduated from LCH in 1999 and spent a year treating the homeless, later taking the Orion course in advanced homeopathy. 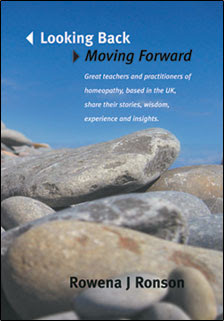 While practising from home, at Ainsworths Homeopathic Pharmacy, and teaching at various homeopathy colleges, Lionel is also a scientist (started an anti-cancer bio-tech spin-out company at Imperial College, London), sometime broadcaster and science writer, and one of a small but growing band of CAM practitioners and thinkers, developing entanglement theories about the therapeutic process. There really is much more to science than randomized placebo-controlled trials (RCTs), bio-medicine and the pharmaceutical industry. But could science ever contribute anything meaningful to the understanding of homeopathy? Strangely enough, yes! The purpose of this seminar is to share that story, taking us on a magical mystery tour through the nether regions of quantum physics, to the weird and wonderful world of entanglement. For it could just be where homeopathy’s Holy Grail lies buried. It might just alter the way you think about life, the universe, and everything!